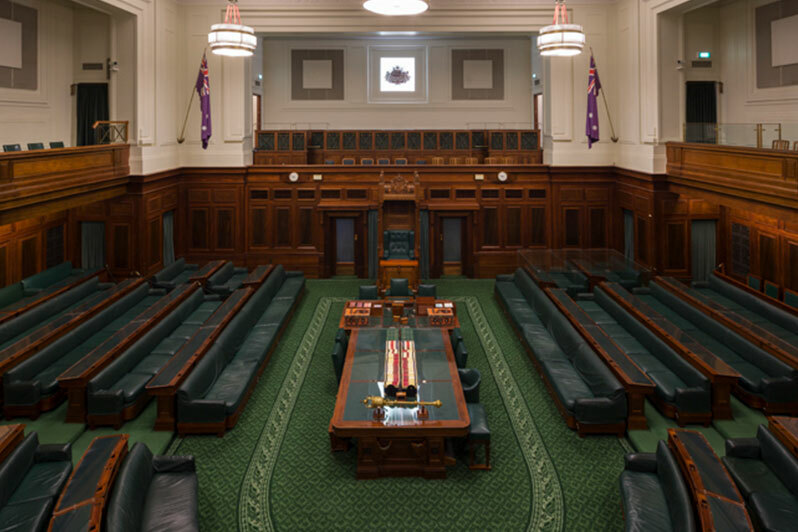 The House of Representatives Chamber is a very special space to experience while at Old Parliament House. A tour can be arranged during breaks, pre- and post-events, and the Chamber can be made available for exclusive use outside of Museum hours (9am to 5pm daily except Christmas Day). 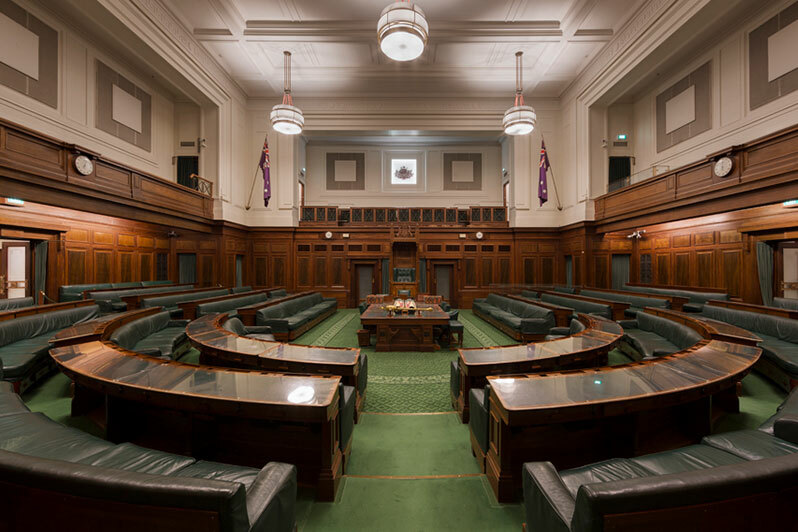 Sitting in the room (and indeed, on the exact seats) where generations of MPs shaped Australia can be a powerful introduction or conclusion to a conference or seminar. Welcome addresses prior to formal dinners can also be arranged. Due to the particular importance of this room, security guards are required to be present at all times, at the client’s expense. The number of guards will depend on how many guests are in attendance, and whether the upstairs gallery is required. Please note that strictly no catering is allowed in this room at any time (water included), and pencils only are permitted (no pens). 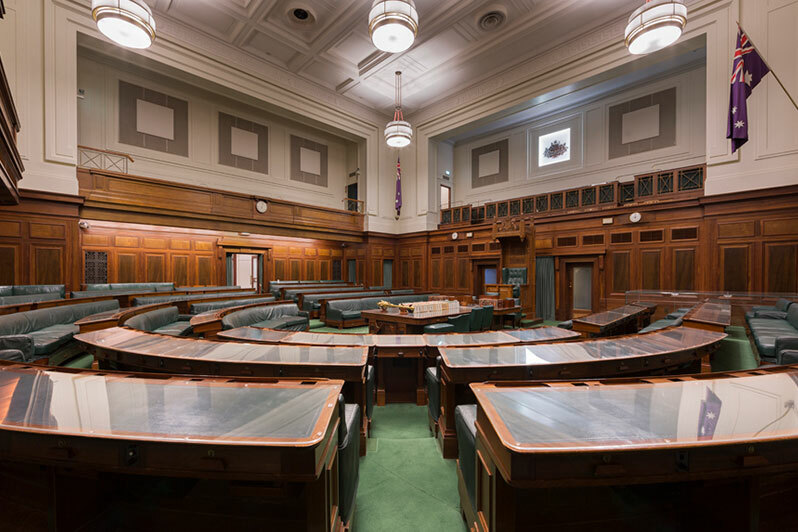 Access to the House of Representatives Chamber is through the main Museum entrance on King George Terrace, and via King’s Hall. Easy access toilets are available at level; however, please note that this is not an easy access venue as such, with several steps across the space. 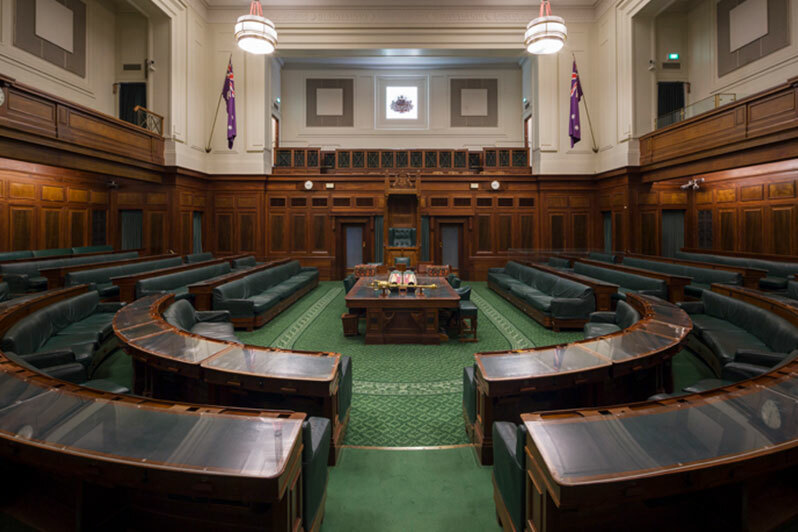 Modelled on the Westminster system, The House of Representatives Chamber was the place where past Australian governments were formed by the majority party or coalition of parties. Major decisions were made in this Chamber that continue to affect our lives today. It was the scene of debate and argument, regulated by rules known as ‘Standing Orders’. 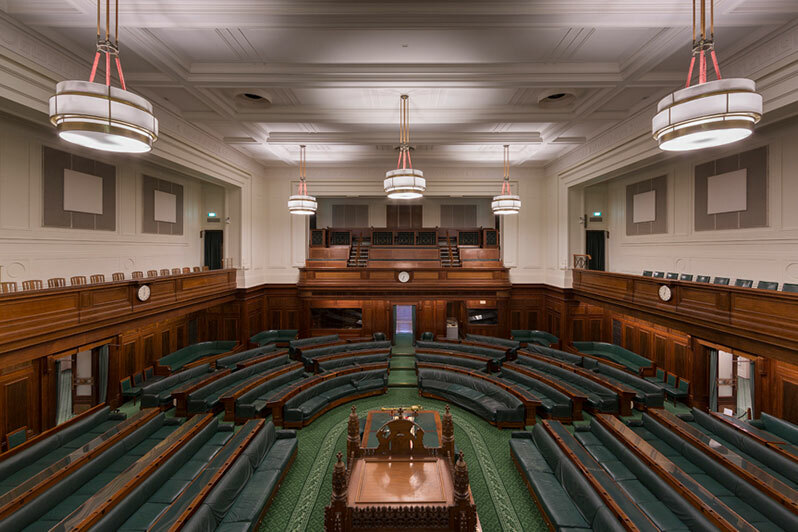 The Speaker, who sat in the carved chair at the head of the centre table, oversaw the debate. As per Westminster tradition monarchs or their representatives were not to enter the chamber. At the time, there was only 76 members, a very different atmosphere compared to today’s 150 members.